Motorola Photon Q LTE. 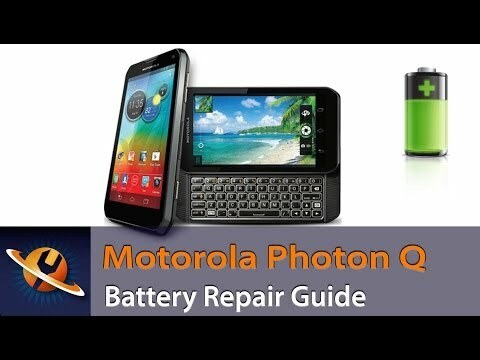 However, like many Motorola phones, it does not have a user replaceable battery. But it does not seem to be a difficult process to replace it. Below is a video that shows how to do that. You can find replacement batteries for about $15 on ebay.